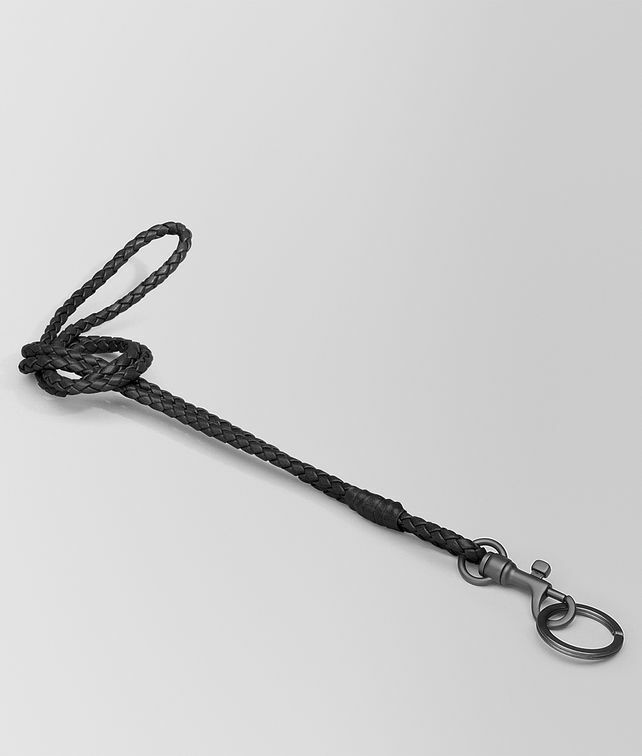 The extra-long strap of this nappa key ring will make finding those evasive keys easier, and is particularly useful when traveling. Woven in the house's iconic coaxial weave, this double-strand design features a brunito-finish metal clip and key ring. Length of coaxial cord: 44 cm | 17.3"